I was born in Puerto Rico where I learned to swim and draw at a very early age. As a kid I was enrolled in drawing classes in a seaside classroom with a view of El Morro. I would close my eyes and see sharks and underwater ships and princesses locked in fortresses. All of this I would draw onto a large scroll and I would add onto the story week after week. By the time those classes ended I was hardly finished with the story I had started. Brian Wonders came out of the need to finish that story. 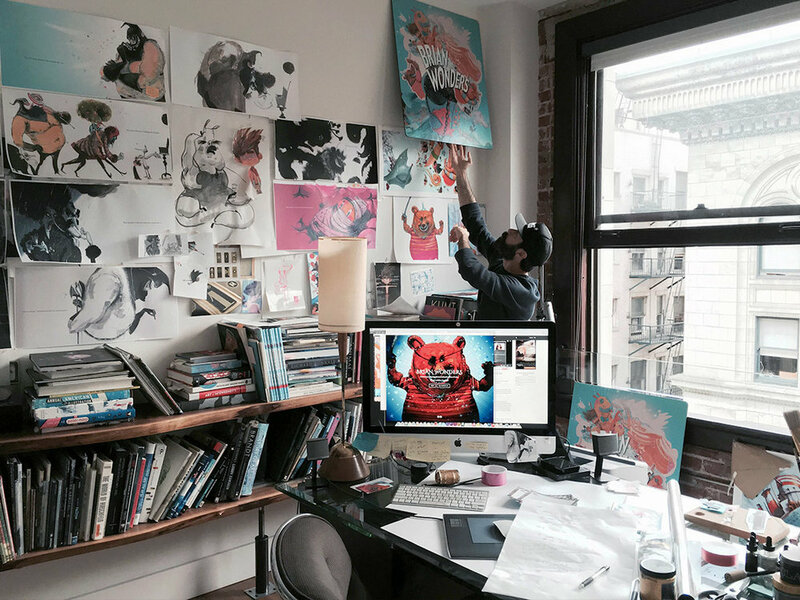 Victor Robert is an artist at DreamWorks Animation and he lives in Downtown Los Angeles.